A little over a week ago I was on a quest to photograph the Snow Geese at Middle Creek, PA. However, a lunch stop in Shartlesville, PA yielded a very unexpected result. I realized we passed the street I was looking for and turned down a small alley. 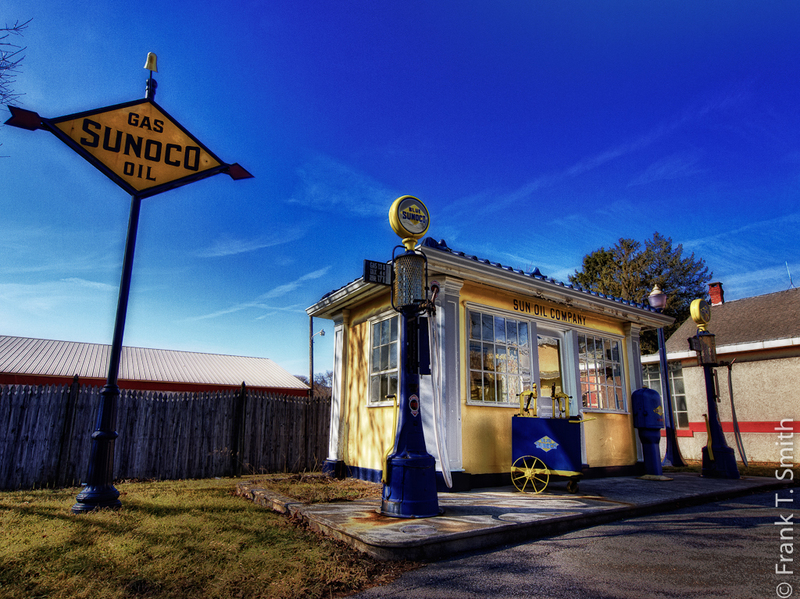 To my surprise, we found this replica old time gas station. 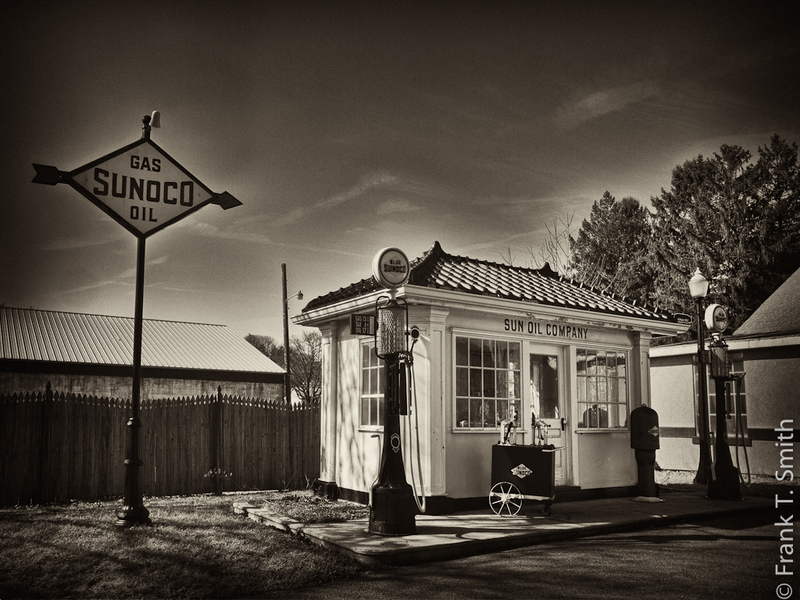 I only wish we could find gas prices from this era.